Nandita’s passion to make a difference is evident in the choices she has made in her life and work. A widely acclaimed actress and activist, she is known to never shy away from unconventional roles and chooses to become a part of the stories that she feels need to be told. She has been a prominent speaker at many reputed universities and social forums, both in India and abroad; and advocates issues of social justice, especially for women, children and marginalised communities. Nandita completed her Masters in Social Work from the University of Delhi and worked with various NGOs before she made forays into films. She has acted in over 30 films in 10 languages. The movie, Firaaq, her directorial debut was premiered at the Toronto Film Festival in 2008 and has been shown at over 50 festivals, winning over 20 awards and critical acclaim. 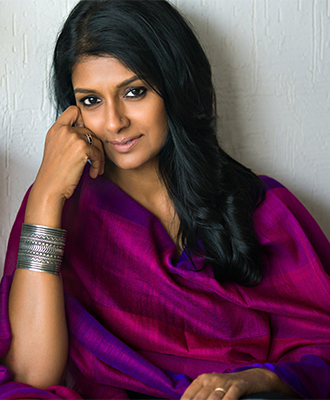 Amongst her most prestigious feats are empanelment in the jury of Cannes Film Festival twice (2005 and 2013), receiving the Knight of the Order of Arts and Letters (Chevalier dans l’Ordre des Arts et des Lettres), the prestigious civilian award from the French Government, and becoming the first Indian to be inducted into the Hall of Fame of the International Women’s Forum.